Hydraulic jump filters with self-cleaning technology for maximum rainwater capture. 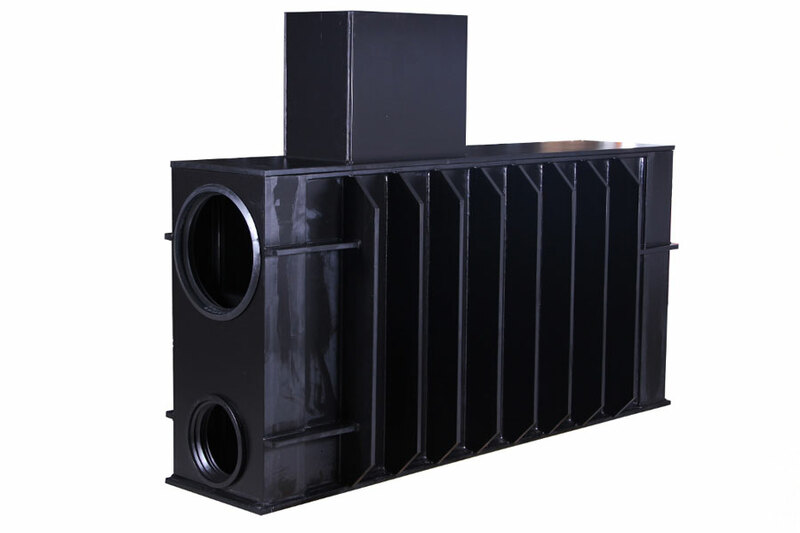 Self-cleaning Purain rainwater inlet pre-filters have the highest rainwater capture of clean rainwater with exclusive hydraulic jump technology patented by Intewa. 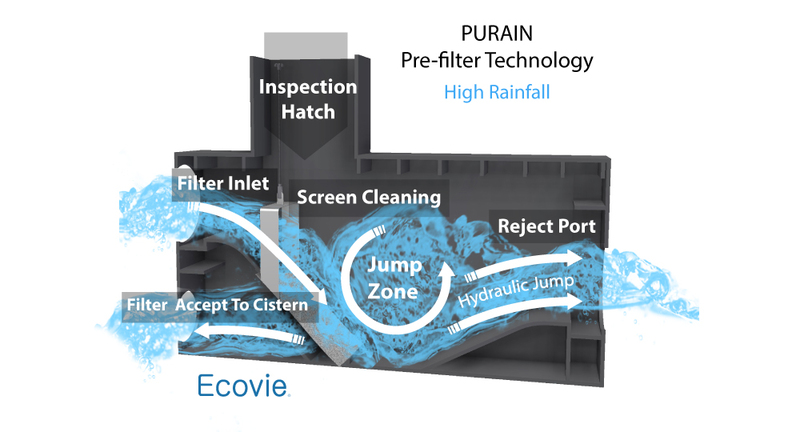 Using the unique jump filter design, Purain filters catch 100% of rainfall up to a certain flow rate. 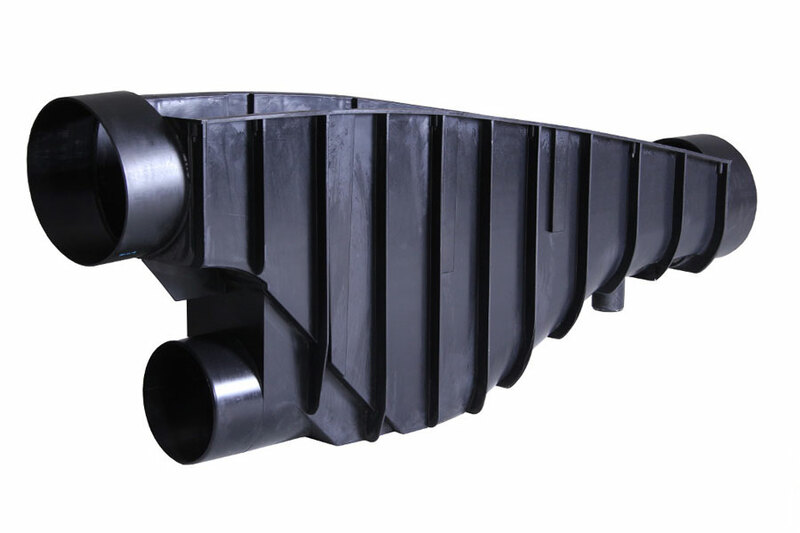 At higher flow rates, the filter is vigorously cleaned using what is called a hydraulic jump action. This leads to the highest overall water capture efficiency regardless of geography. 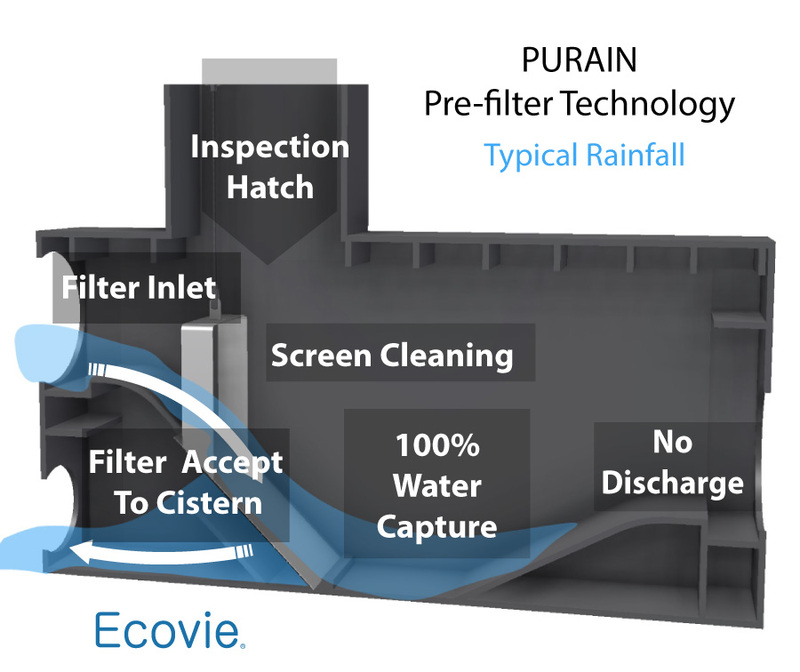 For grey water and storm water management applications, Purain pre-filters guarantee an effective reduction of debris, and provide a cleaner water to process for end use applications. 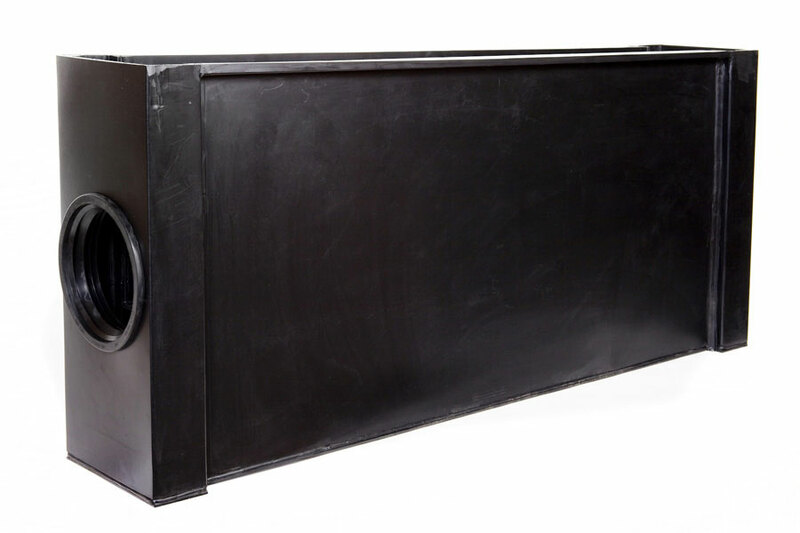 PURAIN filters come in a wide range of sizes from 4” to 16” inlets. 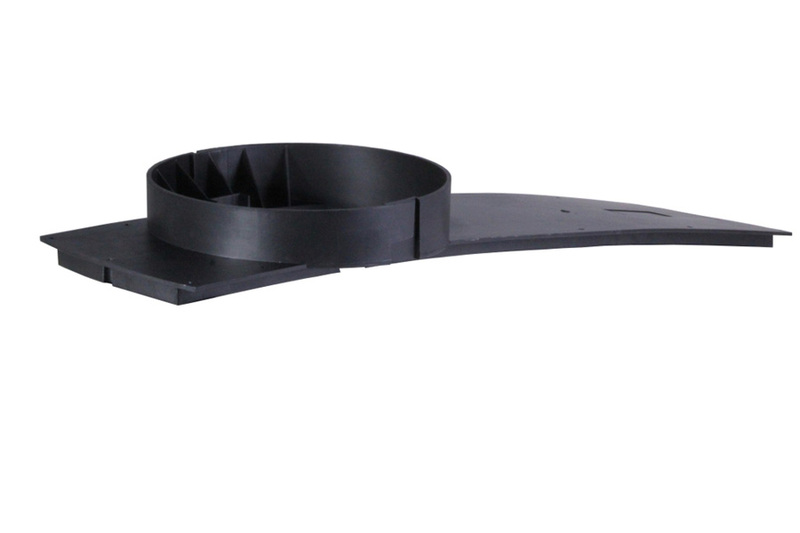 This PURAIN product line is developed for in-tank installations or wall mounting. The filters are sized for pipe diameters of 8”, 12” and 16” SDR 35 PVC. The PURAIN HD line is designed for underground installation with a vehicle rating up to 60 tons. These filters are accessible with conventional manhole lids and concrete rings and sized for pipe diameters of 8”, 12” and 16” SDR 35 PVC. This PURAIN product line is the most versatile and cost effective. 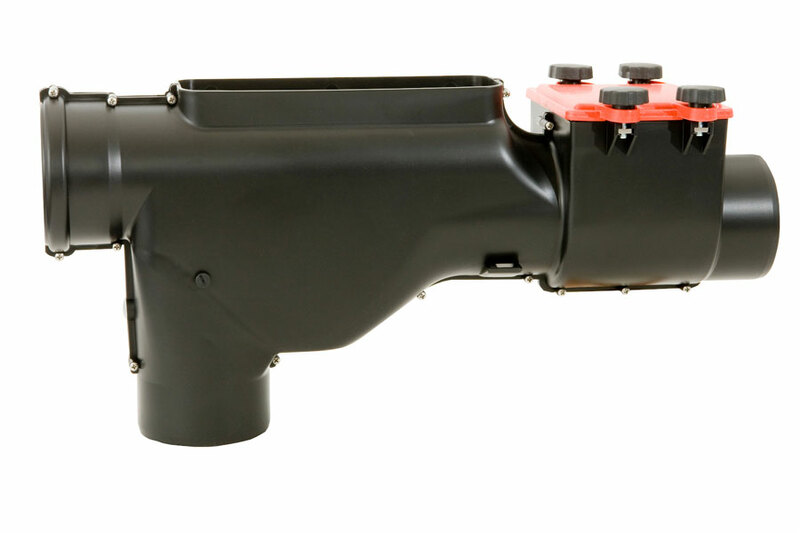 The injection molded filter can be buried, mounted inside the cistern, or mounted externally. For in-tank mounting, they have a skimmer overflow. Ideal for small single-family house, the PURAIN DN100 (4”) includes a non-return valve, small animal protection, and skimmer overflow. It is also available without the non-return valve. Recommended for filter installation outside the tank. 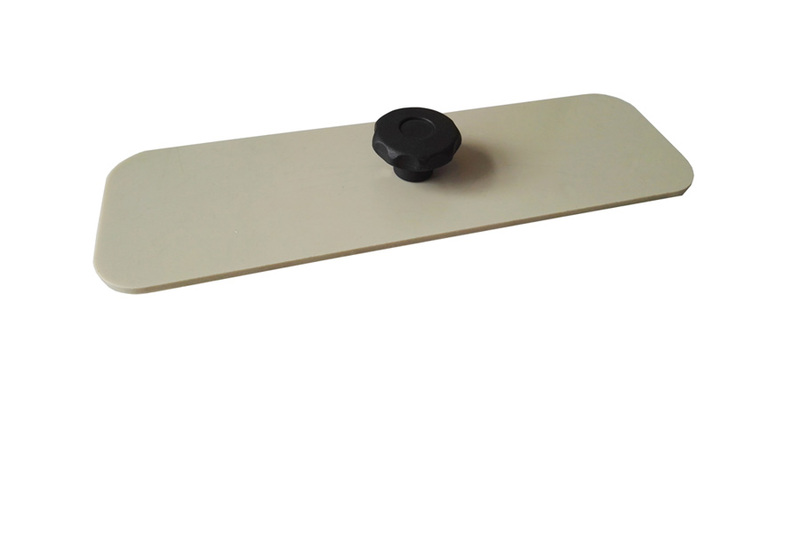 Used when ground or wall mounting the PR 150-S and PR-150-200-S. For mounting in-tank, in- ground, or on a wall. 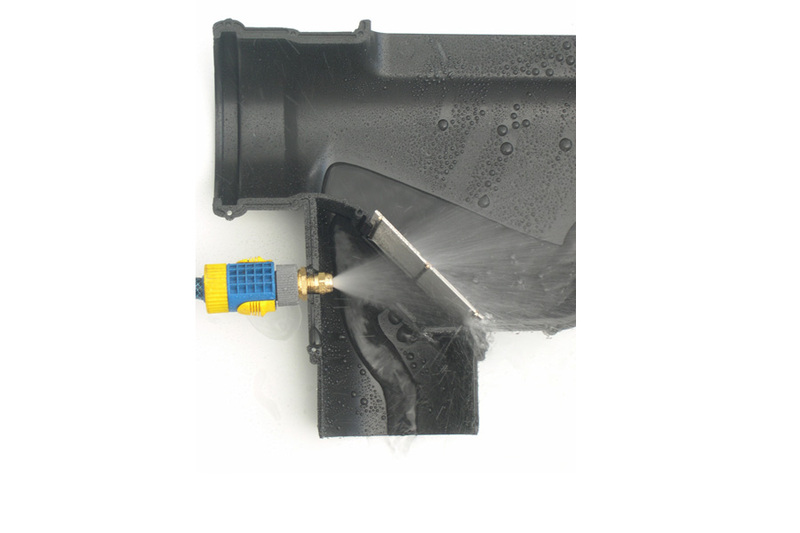 Where filters are installed in hard to reach tanks, we recommend using the backflushing nozzle set PR-100-RSDS. 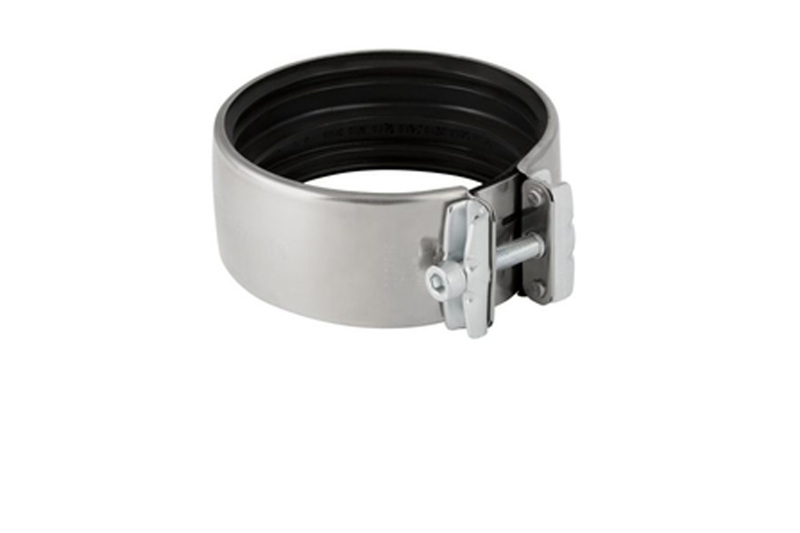 Stainless steel construction watertight, detachable joint connection for DN100 pipes. Retrofitting kit for subsequent installation of non-return valve in PURAIN 100 o.RS.